"The NABU keeps generating false charges against me." "The head of the National Agency for Fighting Corruption (NABU) Artem Sytnik and his first deputy Guizo Ugawa abuse their powers and use the NABU for their own political and PR ends," says Martynenko's appeal distributed by his press service. 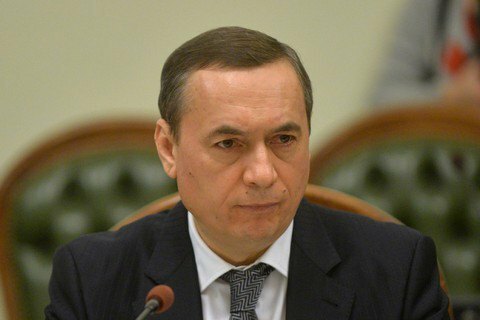 Martynenko recalled that in 2015 he voluntarily resigned as people's deputy of Ukraine and refused from deputy immunity. "Over the past 15 months, NABU detectives have found no evidence of my unlawful activities, but Artem Sytnyk and [his deputy] Guizo Ugawa persevere in their attempts to falsify accusations against me. Unfortunately, the heads of NABU are being guided not by law but political motives, self-promotion and personal revenge ". The former lawmaker claims that the investigation against him from the very outset was political being based on his closeness to the former premier Yatsenyuk. "It began in 2015 as part of the defamation campaign against the then Prime Minister of Ukraine Arseniy Yatsenyuk. I belonged to the pro-premier's faction, so millions of dollars were have been spend on the smearing campaign waged against me," Martynenko says. According to Martynenko, the criminal investigation into the so-called "Energoatom case" has completely collapsed and demonstrated his non-involvement. He announced preparedness to provide the addressees of his appeal with "the expert conclusions and other materials that irrefutably prove the absence of the crime in the "Energoatom case". "Any further actions of NABU regarding myself have no legal perspective. […] Everything that NABU now does against me is a crime ". The former deputy would not rule out that he may appeal to the European Court of Human Rights and win the case.